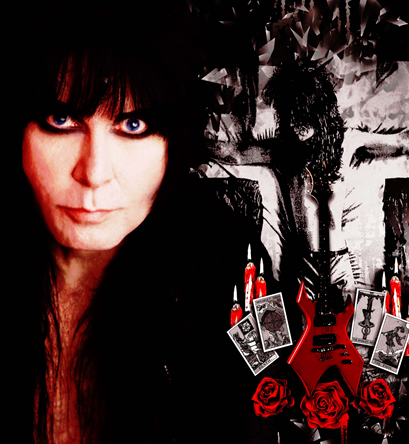 On February 2nd, 2018 W.A.S.P. released their critically acclaimed 25th anniversary edition “ReIdolized (The Soundtrack to the Crimson Idol)” of their iconic hit album “The Crimson Idol”. The re-recordings of one of the best concept albums of all times tell the legendary story of Jonathan Aaron Steele, an abused child looking for love. Discovering music years later, he rises to international superstardom. Later followed by a catastrophic fall. W.A.S.P. now release a lyric video adaption for the song “Docter Rockter” from the original motion picture, that comes as part of “ReIdolized (The Soundtrack to the Crimson Idol)” on BluRay and DVD! The song displays Jonathan Aaron Steele’s path to self-destruction through drug abuse and meaningless encounters to numb the pain he feels inside.